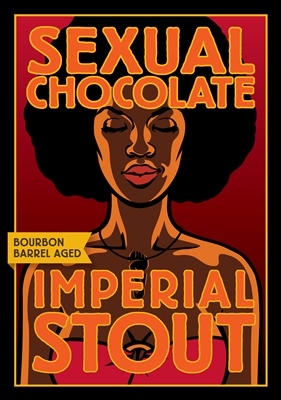 Our annual release of Bourbon Barrel Aged Sexual Chocolate is coming up this weekend. Those of you in the know will either quietly genuflect or leap about making unintelligible nom nom noises. Those of you wondering what the fuss is all about? You’ll know about 300 words from now. This beer is great! Like me. It all started with Peter The Great . . .
Who took a trip to England in 1698 and, taking a brief respite from his native vodka, decided to try the dark local beer — and loved it. He thought, “Hey this would go over big in the future Soviet Union.” Or something to that effect. All too familiar with indulging royal whims, English brewers quickly complied and shipped beer to the Czar’s imperial court, increasing the hops and alcohol so the beer wouldn’t spoil on its thousand-mile journey. The beer arrived, to much fanfare and caviar ingesting, and Russian Imperial Stout was born. It would go on to become a favorite of Catherine The Great as well — lending credence to the idea that having “The Great” as your last name necessitates a love of high gravity beer. Fast forward to 1996 . . .
And a University of Georgia student, home brewing beer with some of his friends in a dorm room (probably against university policy but whatever). Jamie Bartholomaus had an idea to make a beer to celebrate Valentine’s Day, and turned that idea into a dark, chocolaty brew. Then he named it for a fictitious band in an Eddie Murphy movie. ‘Cause that’s what you do when you’re in college. The legend grew. 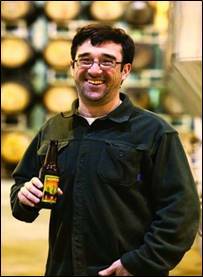 . .
Jamie started Foothills Brewing in 2005, and soon resurrected his dark, delicious concoction. Word quickly spread in the craft beer kingdom about this magic elixir, potent of taste and provocative of name. Bottling began by popular demand in 2007, sparking an impromptu raid on the brewpub each February. 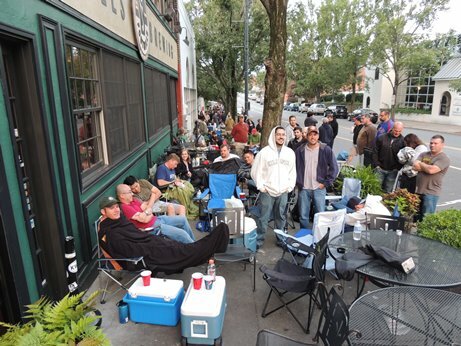 Today, Sexual Chocolate Release Day (both the regular version in winter and the bourbon barrel version in late summer) attracts hundreds of revelers who camp out overnight just to acquire this now legendary brew. And, without really knowing it, toast Peter the Great for his taste in beer. Join us this year, won’t you? For more on the Sexual Chocolate, check out this hip video.